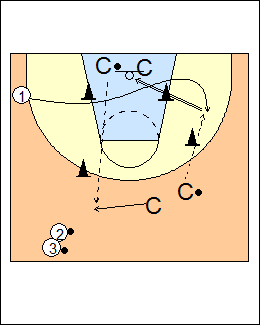 Work on coming off a flare, running a baseline stagger, and a wide pindown. 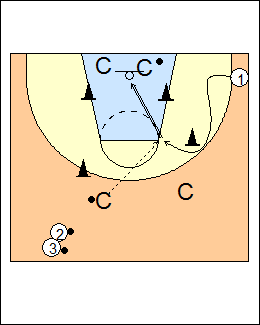 Use a couple of rebounders and passers. Pass to coach, go to the line of a flarescreen, plant, sprint over the top, open up for a pass over the top, catch and shoot. Run the baseline, don't take the same path twice, if you go over the first cone, go under the second, square up. 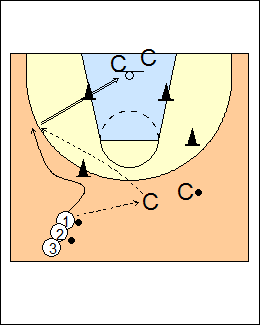 From the corner, v-cut (two hard steps), come off a wide pindown, inside foot, catch (from the first passer) and knock down a shot. How many times can you get 3 in a row (maybe play to 4-5-6 times)? Progression - shoot off the dribble. 70-80% of practice has a time and score element.